Lego DC Comics Super Heroes: Aquaman: Rage of Atlantis (film, 2018). An American direct-to-video animated film by Warner Bros. Home Entertainment/Warner Home Video. Directed by Matt Peters. Official Trailer. 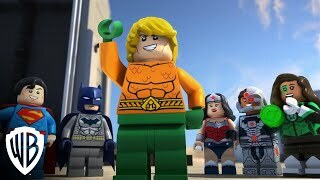 Lego DC Comics Super Heroes: Aquaman: Rage of Atlantis is an American direct-to-video animated film directed by Matt Peters. 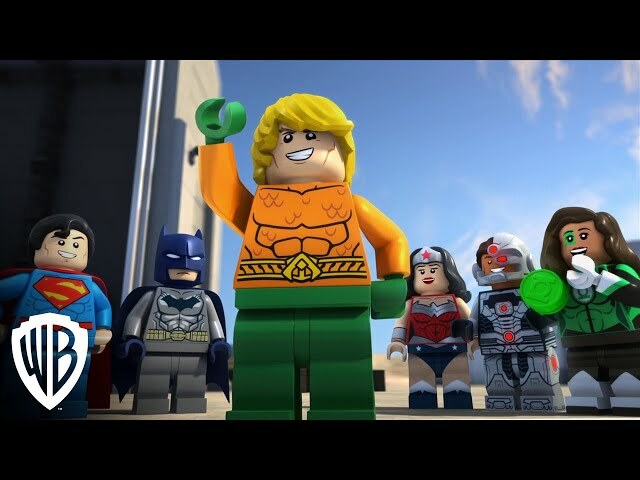 LEGO DC Comics Super Heroes: Aquaman - Rage of Atlantis - Trailer. At the Hall of Justice, Justice League newcomer Jessica Cruz is busy examining for suspicious activity when the Trouble Alert goes off, alerting Batman, Superman, Wonder Woman and Cyborg about Lobo's attack on a warehouse at Dread Lake storing alien technology. When Aquaman receives word of this, he attempts to join in. He soon realizes that Dread Lake is in fact a dry lake bed, leaving Aquaman's abilities futile as he is repeatedly beaten by Lobo until the Justice League arrive. Although Lobo manages to escape with a glowing blue orb despite their efforts. Wanting to lighten the mood, Aquaman invites the Justice League to a feast that Atlantis is hosting in honor of his anniversary as king. While attending the feast (using a spray Batman designed to help them breathe underwater), Aquaman's brother Ocean Master soon gathers the inhabitants of Atlantis where the entire city is engulfed in a bizarre red light which begins to corrupt and enrage them (a force field created by Cruz prevents the Justice League from its effects). With Atlantis under his influence, Ocean Master reveals an Atlantean scroll which reveals a law that only a pure-blood Atlantean can be king. Since Aquaman is half-human, he reluctantly gives up the crown to Ocean Master. Now in control, Ocean Master introduces his corrupted subjects to his new adviser Atrocitus, leader of the Red Lantern Corps (who was responsible for corrupting the Atlanteans) and demands the destruction of the Justice League. Attempting to escape the corrupted Atlanteans, Aquaman and the Justice League use a device known as the Atlantean Gateway (which can open portals to other water-based worlds) to escape. However, Cruz fails to enter the portal before it closes. The film Lego DC Comics Super Heroes: Aquaman: Rage of Atlantis was scheduled to be released by Warner Bros. Home Entertainment and Warner Home Video on July 22, 2018 (San Diego Comic-Con International) and on July 31, 2018 (Digital, DVD and Blu-ray).